Mar thosach, bamhaith le GaeilThírnaSpéireMóirebeannachtaí ó chroí a bhreithdárgcairdeuilearfudna Rockies agus go mórmhór do luchtléiteannuachtáinsaoithiúilseo. Translated into the finest Cork English this reads ‘To begin, the Irish of Big Sky Country would like to extend their best wishes to all our friends throughout the Rockies and especially to the readers of this learned newspaper.’ This column marks the first of a number we plan to write telling of the goings-on of the Irish in Montana. As many of you already know, Montana is a very Irish state, home to a people whose historical experience is very unique. Unlike the Irish emigrants in other parts of the United States, the Irish of Montana didn’t come to an existing city; they didn’t have to accommodate to entrenched civic, economic, and political hierarchies; they came to a hill and built a city that reflected their culture, their faith, and their heritage. That city was Butte. In the early 1900s Butte was home to 100,000 people and a very vibrant Irish culture. The Irish language was a spoken language in the town, Irish music and Irish dance provided much of the popular entertainment, and a very competitive Gaelic Football championship survived down to World War II. In the heyday of the mining industry, Butte was a major contributor to the Irish Revival, the Home Rule movement, and the struggle for independence. Most of the great Irish leaders of the time, from Douglas Hyde to Eamon de Valera, visited Butte and established lifelong friendships with the people there. Many of the descendants of the original emigrants to Butte have since moved to other parts of Montana and the United States, their love and attachment to Irish culture still animating and defining who they are. Today, Montana is home to seven active divisions of the Ancient Order of Hibernians, numerous music and dance classes, Irish language groups and three distinct Irish festivals: The Celtic Festival in Missoula; An RíRá in Butte; and the Scottish/Irish Festival in the Bitterroot. Montana is also home to the largest and most comprehensive Irish Studies program west of the Mississippi. The Irish Studies Program at the University of Montana [UM], Missoula, is a product of a collaboration between the community, faculty at UM, and the Irish Consulate in San Francisco. A community organization, The Montana Gaelic Cultural Society, was established in 1997 to teach the Irish language and to promote Irish Gaelic culture in the state. In 2001, this group succeeded in having Irish taught at the University of Montana, and, in 2003, they invited the then Consul-General, Dónal Denham, to visit the university and to assist in advancing their proposal to create an Irish Studies program. Mr. Denham’s visit was very successful and a program was founded in 2005 and officially launched by the President of Ireland, Mrs. Mary McAleese, in May 2006. The Irish Studies program at UM is an inter-disciplinary and inter-collegiate collaboration between the College of Arts and Sciences and the College of Visual and Performing Arts. It unites a rigorous academic study of the culture to a commitment to preserving and promoting the living culture of language, music and dance. The curriculum includes courses in Irish language, literature, history, music, dance, and drama to ensure that students receive a unique in-depth understanding and training in Irish Studies as well as a broad-based exposure to that vibrant and imaginative culture that continues to unite and inspire the people of the United States and Ireland. It also sets the University of Montana apart as the only university to unite the academic and the artistic in the treatment of Irish culture. The program offers an 18-credit minor with an emphasis on the Irish language and Irish Gaelic culture. The emphasis on the Irish language places UM alongside Notre Dame, Indiana, as the only two universities in the United States to offer such an Irish Studies minor. The growth of the program has exceeded all expectations: The dance and music classes fill to capacity every year; and the Irish language program has grown from two courses to five and from 13 students in 2005 to nearly 200 this year. On a final note, the Irish Studies program at UM in conjunction with the Irish Government also hosts the Gathering, a project designed to collect the oral histories of the Irish of Montana as well as many of the existing written and visual records going back to the time of the first emigrants. The success of the program is due in no small way to the contribution of the Irish Government, in particular An RoinnEalaíon, Oidhreachtaagus Gaeltachta; the Fulbright Organization; Mr. Gerry Staunton and all the staff at the Irish Consulate in San Francisco; Humanities Montana; and the Friends of Irish Studies. The Friends are worthy of a special mention. This non-profit 501c3 corporation was established to secure funding for the development of the program and to provide the community with access to the resources of Irish Studies. Their members come from all over the United States, from Boston to LA and from Seattle to Florida. They have helped to fund the Irish history program, Irish language, music and dance programs; they have sponsored Irish musicians and community concerts in Butte, Missoula, and Bozeman; they organize Irish language and history classes in the community; and they run the Irish language immersion week in Butte every summer as well as the annual guided tour to Ireland. Some of their activities are listed in the ad on this page. If you are interested in participating in any of these events or helping the Friends to bring Irish culture to the Irish of the Rockies, please contact Clair Leonard at leonardsmt@msn.com or the Friends at www.friendsofirishstudies.org. The Friends are particularly committed to helping students of the Irish language, so if you’re struggling with learning the language get in touch. This is where we finally sign off, thank God say you! We’ll be back next month with more news from the north. We also plan to add some basic Irish conversation in our next column. If there is anything that is of particular interest to you, please let us know. In the meantime, guimidgachrath ort [we wish you all the best]. Like many Americans, I have always had a fascination with castles. Large, thick, wooden doors, towering turrets, ivy covered walls and spacious water fountains form an undeniable alchemy of intrigue. If you have ever seen a photo of Schloss Neuschwanstein in Bavaria, Germany, that which inspired Walt Disney so many years ago, then you know exactly what I mean. Perhaps my fascination exists because ours, with the exception of the Kennedy Camelot dynasty, is a country without kings and lords. Moreover, unlike Ireland, ours is also a country without authentic castles. American mansions, regardless of astronomical square footage, are not, I repeat, not castles. Okay, like many people, I have been to the Biltmore Castle in Asheville, N.C. (even Gillette Castle in Connecticut) and as nice as they are, in my humble opinion, they really don’t count as castles. I’ll chalk up my interest in authentic castles (with turrets, draw-bridges and moats) to hearing one too many fairytales read to me as a small child. With any luck, childhood fantasies eventually mature into adult dreams. As usual in my case, the luck of the Irish would prove immeasurable. After seeing a photo in a travel magazine, one of my bucket list dreams was to stay overnight in the renowned Ashford Castle (County Mayo). With this in mind, my castle quest began in earnest. It first began by doing a Google search, followed by acquiring several coffee-table books on the subject, (photographers like myself, it should be known, are never satisfied with just one source of reference material). In the summer of 2011 I set out on a trip to my ancestral homeland on a quest to explore and photograph some of the Emerald Isle’s most intriguing architecture; her castles. Truth be told, Ireland has no shortage of these stone fortresses. Some estimates suggest there are more than 350, with many in ruins, yet all photogenic. If you, like me, were to compile a list of Irish castles to photograph your head would spin with delight; Ross Castle, Ashford Castle, Trim Castle, Dromoland Castle, Killkenny Castle, Birr Castle, Kylemore Abby and least we forget the Adare Manor, (beware castle hunters; both the Bunratty and Blarney Castles are two of the most popular tourist attractions outside of Dublin; this is code for much PhotoShop work involved). 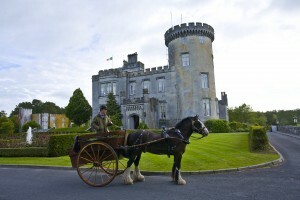 While not all castles are open to the public or have limited access (Tullynally in County Westmeath comes to mind), over the past several decades, some estate castles have become hotels—many charging a king’s ransom to stay in. With camera, tripod, batteries, plenty of flashcards, and a litany of prayers to the weather gods, I headed off to the Republic of Ireland with my friend and professional photographer, Mark S. Johnson. Simply stated, we were not disappointed. All toll, our pilgrimage included sixteen castles in 8 days, indeed, only a fraction of Ireland’s majestic wealth, but a bounty for photographers who can spend hours at one site alone. Even the weather was on our side (call me old fashioned, but in my humble opinion, castle photographs look best with some blue sky in the background). I also discovered that some castles, bathed in floodlights are best photographed at night, including the Ross, Trim and Cahir Castles, particularly when there are few people around. Any professional will tell you that the best time to photograph anything outdoors is in the early morning and late afternoon when light conditions are ideal. Assuming the Irish skies aren’t overcast with the infamous Atlantic Ocean mist, this can prove challenging, particularly when many castles are only open to the public outside of these prime windows of opportunity. The answer to this problem was to book a hotel reservation onsite wherever possible. Though I receive no monetary rewards for writing this, I highly recommend staying at the Adare Manor and Ashford and Dromoland Castles. My bucket list for this requirement is now complete! Hogwarts not withstanding, the history of European castles is quite fascinating. At the start of the second millennium, fortresses such as Trim, Ross and Cahir Castles were fortifications, designed to withstand invading forces (think Monty Python’s Holy Grail movie). Function and fashion merged together over the centuries, yet in many cases, the end result proved less than ideal. In the Trim Castle, for example, the kitchen was so far removed from the eating hall, that by the time the food was brought up several sets of spiral staircases, the meal was stone cold. Ironically, Mel Gibson chose Trim Castle, County Meath, as one of the major backdrops to his Academy Award winning film, Braveheart (a story, mind you, that takes place in Scotland). Without electricity and plumbing (modern conveniences of the last century) 8-foot walls may have offered protection from invading forces, but not the cold, harsh temperatures or dampness. I am going to spare you of the details regarding what castle moats were made of (again, think Monty Python). Suffice to say that medieval accommodations were nice, but less than ideal, no matter where you lived in that time period. Over the centuries, the shape of the castle transformed from a three our four-story tower to a stately manor spread over several acres. Adare Manor is one such example. Birr Castle is another. Such detail was taken in the construction of the Adare Manor that symbolically, it mirrors a three-dimensional calendar; a story you will have to hear for yourself when you take their tour. One of my favorite sites on this quest for all things citadel in nature was Lismore Castle. Still in private hands, we were not able to explore the interiors, save a small wing that houses an art exhibit (the estate gardens, however are available to wander freely for a small fee). Renowned for being the birthplace of Robert Boyle, the father of modern chemistry, Lismore Castle was a favorite respite for Fred Astaire, who’s sister married into the family, as well as a young Jack Kennedy, who’s sister also married into the family years later. 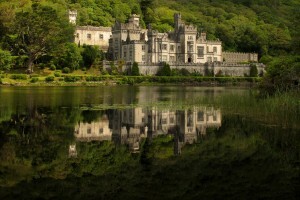 One of the most poignant stories of Irish castles is that of Kylemore Abby, County Mayo. Built as a private home from 1871-1885 by Mitchell Henry for his wife, Margaret, the edifice stands in Gothic fashion reflecting its beauty in a nearby lake. Sadly, Margaret died shortly after the completion of the structure. Like most pieces of real estate, the castle changes hands several times and is now in possession by the Benedictine nuns. Open to the public between the hours of 9-5, be sure to visit the gardens and chapel when you go. While every castle begs to be photographed, some look best from the air, such as Ashford Castle, first built in 1218, with modifications in 1715 and again 1852 under the ownership of Sir Benjamin Lee Guinness. Under the new ownership of John Mulcahy in 1970, Ashford was renovated once again as a hotel and the grounds made way for a premier golf course. It now caters to the very rich and famous, but for some reason they allowed me in as well. Which of these castles was my favorite, you ask? It’s hard to say. Each has a charming personality all its own, and each begs to be discovered with fresh eyes and camera lenses. If you ever decide to make a similar pilgrimage to Ireland, save up some money and be sure to stay overnight in at least one castle. Consider requesting a King-size bed, or at the very least, a Queen. And if you play golf, start working on your handicap. You’ll need it, especially if you knock a ball into the moat (just kidding). I was stunned, like so many, to hear that Noel Cunningham, restaurateur and humanitarian, had taken his life on December 1, 2011. I was sitting on my living room couch watching the evening news when the story broke and the feeling of disbelief overwhelmed me. One never thinks that they will tune into to the local newscast and hear about a tragic tale involving someone you know and love. Once the news was out, it moved through the community like a tidal wave leaving family, friends, coworkers and humanitarian partners in shock. Over the past six years, Noel has been a friend, mentor and partner in various community efforts in Ethiopia. This is work that I have been involved with through my position at Regis University. Regis would not be in Ethiopia had it not been for Noel challenging the university to live its mission and to reach out to some of the most marginalized people in the world. For Noel, it was a matter of a making the connection between two entities he knew would have something to offer one another. This was one of Noel’s finest attributes. He was a connector with prowess and practice like no other. In 2003, Noel facilitated that connection and put Regis University administrators together for a visit with the founders of Project Mercy, a 501c(3) nonprofit agency. Noel had begun to support the organization’s development work in Ethiopia, and as a result of this meeting, the Ethiopia Intercultural Service Immersion Program was born. Since that connection in 2003, Regis University’s Rueckert-Hartman College for Health Professions (RHCHP) has been traveling almost every year to Ethiopia with a group of Nursing, Physical Therapy, Health Services Administration and Pharmacy students and faculty to learn and serve various communities in the country. Approximately 75 students and 15 faculty and staff have participated in this transformational experience. Partnerships fostered by RHCHP in Ethiopia with nonprofit organizations, clinics, hospitals, and educational institutions have are flourishing. In the spring of 2012, the largest cohort yet of 17 students will travel to Ethiopia for a combination of health related service and clinical work. As Noel liked to stress without reservation, the experience of traveling to Ethiopia to learn and serve is the ultimate embodiment of Regis’ Jesuit mission by demanding those who participate to consider and take action to address challenges facing the world’s most marginalized populations. Through the years, Noel came to know many of the student participants in this program and spoke to them about his commitment to Ethiopia. He inspired students to always remember the needs that they witnessed as a part of this program. In addition, he partnered with Regis University to support efforts aimed at raising money to build the capacity of Ethiopian nonprofit agencies and schools. For example, in 2007-2008 Noel helped RHCHP students and faculty to raise $20,000 to send a crate of medical supplies and textbooks through Project CURE, a Denver- based international nonprofit organization whose mission is to redistribute medical supplies to places in need around the world. The market value of the crate was estimated at $400,000. The crate helped to outfit the Hossana Health Sciences College in Hossana, Ethiopia with lab equipment and hundreds of new nursing textbooks. When the 2009 Regis cohort arrived at Hossana, the reception we received spoke to the power of this donation which had arrived one month earlier. Students and faculty did lab demonstrations with their new equipment, they toured us through their newly expanded library with shiny new textbooks that many students were making use of, and they treated us to an exquisite meal and traditional coffee ceremony. They were overwhelmingly grateful and we could feel the impact of this donation toward improving the quality of education. And so the fundraising efforts began. Today, roughly a year and a half later, with the help of Regis students and faculty, along with a handful of other partners, we have raised every penny of the $80,000. Miraculously, because of Project Mercy’s desire to not favor one community school over another, the one school building has turned into two brand new school buildings that are scheduled to be finished this month. Approximately 400-500 kids will now have a dignified place to learn. There were a lot of people who supported this project but Noel was the one who inspired all of us to aim big. It was his perspective that taught those involved in the project, if you put the vision out there, people will gravitate to it and you will find the support you need to cross the finish line. If you know Noel or know of Noel, you then know that this is just one of so many examples of how he inspired the world to change for the better. In this case, going forward, the lives and education of thousands of kids will be forever changed and made better because of my friend, Noel. When you think about it, it is rather simple. Noel had the uncanny ability to shoot for the stars, set big goals, tell everyone he knew about them and eventually the needed support would come; resulting in more lives changes forever! Noel’s impact on the world will live on in so many meaningful ways. He was one of the kindest and most inspiring people I have ever met and I am so grateful to have had the opportunity to work together with him on what he loved most, making the world a better place. Since his death, many people connected to Noel that I know, including me, have been wondering how to honor him. One easy way to do this is to keep telling stories of the larger than life man. Like a project Noel would raise money for, let’s all commit to keep putting the story of Noel Cunningham out there. We owe it to him and we owe it to ourselves, for he was human like us, and a remarkable one that we will all miss. The stories of Noel will help keep him strong in our hearts and his legacy to live on in thousands of lives that have been and are still being transformed from Noel’s tireless pursuits. On December 9th 2011 Noel Cunningham was laid to rest in Denver. He began his journey of 62 years in Dublin Ireland. At age 14 he began to prepare for a lifelong career in the culinary business. Working first in a hometown kitchen, the young chef-to-be learned his lessons well. Honing his skills in London and Beverly Hills, he moved to Denver where he started three restaurants including ‘Strings,’ a Mile High City landmark that is still delighting customers in it’s 25th year. Colorado’s 41st Governor Bill Ritter gave a thoughtful and poignant eulogy that spoke of Noel’s “spectacular works” that touched people’s lives from Denver to around the world with vigorous efforts to fundraise for schools, health care clinics, hospitals, playgrounds and other projects. He gave examples of Noel and wife Tammy’s commitment to build programs at Yetabon in Ethiopia through Project Mercy, and other collaborative enterprises, – Share our Strength, Taste of the Nation, Safe House, Toys for Tots, Volunteers of America, Quarters for Kids, the Hope Bracelet project – all just a partial list of their extraordinary philanthropy. Through tears and sometimes humorous recollections he reminded us of Noel’s down-to-earth personality. Having hosted Presidents, dignitaries, and others of fame and fortune, he still kept an uncommon humility and never put himself above anyone regardless of their social standing. It’s no surprise to know that the first time I meet Noel he was helping someone. His friends John and Una Nallen, had recently opened Nallen’s Irish Pub and Restaurant in downtown Denver . He went down to the pub to observe and lend his expertise to his fellow natives of Ireland. He was good at giving advise. When our Celtic Connection morphed from a newsletter to a newspaper format he was the first to call with congratulations followed by suggestions on how to make it better. He was a straight shooter but never insulting. I always appreciated the time and caring that he gave to a regular ham-‘n-egger like me. He seemed to understand the challenges of what we were trying to do at the CC and Celtic Events. He would wonder out loud how we could financially sustain and offer a “let me know if I can help buddy.” And he did help. Most of our Celtic Events require us by contract to feed the performers. I would regardless for fear of being haunted by my dear Mom if I was not a good host to visitors. Because of time and money, we usually have Thai, Chinese, or other food requested by the band delivered to the “green room” at the venue. But every now and then circumstances allow or dictate that you put out the fine china. For us that meant a trip to Strings. After a fine meal that one would expect from Noel and staff, we would always find that the bearded one had whittled away a portion of the bill. One night he did more. It was one of those nights were the band played great and the audience was enthusiastic- but afterwards when you add up all of costs to present, promote, and produce you find that you didn’t make it past your breakeven point. You leave the box-office with a smile plastered over the pain because you don’t want to be a downer to the happy folks surrounding you – But inside you worry how you are going to get your next tank of gas. With enough room on a credit card to proceed we left the venue for a post gig diner at Strings. During the course of the evening Noel asked me if the show was a success. As discreetly and nonchalantly as possible I told him that the show was awesome but that there were tears on my calculator. Noel saw straight through my attempt at levity. At the end of the night the waiter came to our table and told us that our meal was compliments of Noel. Thank you Noel, your inspirational caring and unconditional kindness will be remembered forever. A few years back when Regis gave Noel the Civis Princeps Award, the First Citizen Award, Noel dressed in the finest, plumed and puffed up academic regalia, not the best fit for him, reminded all the professors present, “You don’t have to have a Ph.D. to know you have to be charitable in this life.” It is my favorite quote by Noel and he never forgot his Dublin working class roots. He wanted to wear his chef’s cap that day. Noel was tireless in his support of all things Irish, including the trinity of goals of the American Ireland Fund – peace, charity, and culture. His wry smile, the gleam in his eye, and his generosity of heart and spirit made Noel a pillar of the Irish community in Colorado and across the globe. The support he provided, financial and culinary, but most importantly, his warmth, humor and bounteous spirit, will be irreplaceable. We all mourn this great loss, and take heart from the abundant legacy Noel has left for all of us to follow and be nourished from. ~ Edward P. Timmins, Esq. Noel most recently hosted the fledgling Irish Business Network Colorado at Strings and made it memorable by his being there. We will miss him terribly.. In late 2002, a friend and I were having lunch at Strings when Noel came to our table, talked briefly about giving globally, and me a book, Sheltered By The King by Marta Gabre-Tsadick from Ethiopia. As he walked away he said, “ I’ll call you in a couple weeks.” That he did! We talked briefly about the book and he asked me if I could connect him with Regis University. A few calls got the ball rolling and today Regis University’s Rueckert Hartman College for Health Care Professions (RHCHP) sponsors an annual trip of students and alumni/ae, that has grown to more than 75 students, to Ethiopia. According to Jeremy Lee, Director of Center for Service Learning in RHCHP, some students in the health professions choose Regis because they know they will have a global experience in a poor country like Ethiopia. In 2004 the Denver Business Journal named Noel Cunningham Corporate Citizen of the Year. Noel, I quickly learned was the ideal role model for our corporate world that, generally speaking, stands in need of healing. Noel lived the meaning of philanthropy, philios – love * anthropos – (man) people. He had a desire to improve the material, social, and spiritual welfare of humanity. I thank Noel for who he was and all he did — a man with a big heart. My faith tells me that he is now at peace with our merciful God. Words buckle and fail in the wound of such loss! He was, and remains, so much to so many: all that passion and compassion, the charming wit and the giving heart, the compelling vision and the radical commitment to bring dreams to reality, to dress the drearest portion of the day with hope and care. Most especially, we lament his absence in the lives of the many students he inspired. His example will continue to feed us and lift us. May he who rested so little in his days here rest eternally and peacefully. Noel was an angel who walked among us. A rare and generous soul. The world ,and for now, our Denver community ,need to know what an amazing man Noel was and what a legacy he has left. He is and will still be an inspiration to everyone to go out of their way for others,no matter what and no matter where in this world. In a way I see him on the level of Princess Diana and want the world to know this..
Noel has been a good friend, mentor and partner in Ethiopia work that RHCHP has been involved with over the past 6 years. RHCHP would not be in Ethiopia were it not for Noel challenging our school to live its mission and reach out to some of the most marginalized people in the world. Since 2003, thanks to Noel, we now have 75 Ethiopia program alumni and have our biggest group yet of 16 students getting ready to leave for Ethiopia in March of 2012. Through the years, he has gotten to know many of the groups and spoke to them about his commitment to Ethiopia and inspired students to not forget about the needs they witnessed. This is one of the highlights of my work with him. In May of 2010, I visited Noel at Strings. I had an agenda to discuss with him a recent request from Project Mercy to Regis University which would hopefully lead to his support and partnership. Project Mercy is the NGO that Noel and Regis had now been partnered with for many years and done significant work with. Project Mercy asked Regis to help either renovate or build a new community school down the road from the Project Mercy grounds. The Project Mercy school was only capable of taking 200-250 kids in each year of over one thousand that hoped to get in. Those that didn’t get in attended the local community school that I was told was infested with termites, where many kids had to sit on dirt floors, and the overall structure of the buildings was in disrepair. Project Mercy told me it would take about $12,000 to renovate the current buildings or $80,000 to build an entirely new school building. I had serious concerns about raising $80,000 and stressed to Noel that Regis is not a development organization. We needed a partner like him and collaboration of other people or groups in Denver to make it happen. In Noels words, “I will be damned if we are going to raise $12,000 to renovate a community school in rural Ethiopia when in five years the building is going to be right back where we started. We are building a new school in Ethiopia. What do you think about that?” With that, we were off. Now, roughly a year and a half later, we together raised $80,000 which ended up leading to two bran new school buildings being built in rural Ethiopia. It is estimated that 500 kids will now have a dignified place to learn. Going forward, the lives and education of thousands of kids will be forever changes and made better because Noel. The buildings are due to be finished this month and this is another wonderful tribute to Noel. He had a canny ability to shoot for the stars, set big goals, tell everyone he knows about them and eventually the needed support would come. Wallah…more lives changed forever. Noel’s impact on the world will live on in so many meaningful ways. He is one of the kindest and most inspiring people I have ever met and I am so grateful to have had the opportunity to work together with him on what he loved most, making the world a better place. After 25 years of knowing Noel Cunningham, it was obvious that he was a very special person that was larger than life. He was an inspiring leader and a true asset to the community. In all of the years visiting with Noel, he continuously provided me with sound advice. He would follow up each encounter with a strong handshake saying, “What can I do to help you,” a phrase that he undoubtedly used frequently. He was an empowering man and I will miss him dearly as a friend, a mentor and a fellow Irishman. 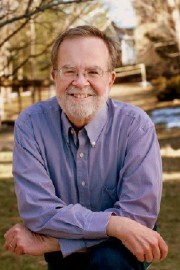 John Francis O’Brien, Jr. is an author, writer, poet, publisher and spokesman. Named as one of Irish America Magazine’s 2011 Top 100 Irish Americans, he is Co-Founder, Co-Publisher and Editor of the Ohio Irish American News, which premiered in January 2007. His poem, The Vacant Chair, took 1st Prize in the Irish Book, Art & Music Showcase 2010. 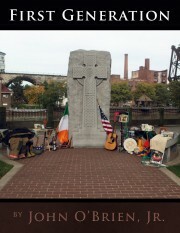 A first generation Irish-American, his father who hails from County Roscommon, is Founder and Director of the Cleveland Irish Cultural Festival. 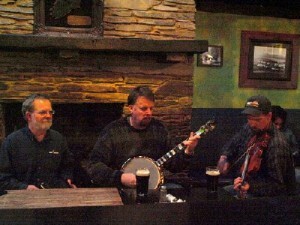 John continues his father’s legacy, love of the Irish heritage and vision for the festival as Assistant Director of the 30th Annual event which will be held July 20 – 22, 2012. O’Brien has recently had his first book of poetry published. First Generation, showcases 69 poems divided into six chapters written in critical moments in his life. Love; Ireland: Music to America; My Family; It’s Love in a Way, but Really R.A.; Ghosts in the Attic; and My City. 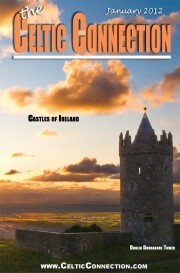 First Generation can be purchased directly from John O’Brien’s website, SongsAndStories.net. Yet every time we separated, I felt an unquenchable thirst. Friends grew to lovers, in body and the spirit. We finally faced our fate, time to precious to mourn or hear it. How can it sit empty, when I am still sitting here? How can the crying stop, when every single thing brings a tear? So I search out the polish. Lovingly, I caress the vacant chair. In Memory of Michael Reid..
One of the best things about Irish traditional music, and indeed most traditional musics, is that so much of it is about the community that builds itself around and through it. Those who have taught others, both directly and indirectly, formally and informally, have passed on what they learned and we in our turn try to pass that on to others. Because of that, we are something like immortal. We will live on as long as the music does, so long as we tried to pass on what we learned from others. And we’re interconnected through this music and through the times, both good and bad, that we’ve shared through it. On January 2, many of us in the Celtic community celebrated the life of Michael Reid, a long-time concertina player in the Boulder session. Michael, after battling cancer for a long time, passed on December 16. Immediately, amid our group emails, we began sharing stories and tunes associated with him. 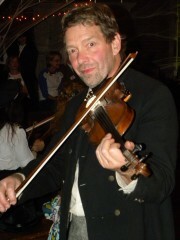 Michael was a skilled, spirited musician who contributed a huge body of tunes and knowledge to the group, amid the craic of countless sessions. We will greatly miss both his friendship and his playing. He had a deep love of the music, graciously shared that with so many of us, and will be a part of the ‘flavor’ and vitality of the session for a long time to come. “This is a Michael Reid tune . . .” will no doubt be heard often in the back room at Conor O’Neill’s in Boulder. Rest in peace, Michael. You’ll never be forgotten while the music lives. In an essay, Unitarian Minister turned author/essayist Robert Fulghum described an Aha! lesson he learned from an Auschwitz survivor about the distinction between a problem and an inconvenience. Denver antique dealer, Celtic music supporter and session fiddler Eron Johnson could just as easily be the purveyor of that particular lesson – and teach the rest of us about getting out of our own way and growing as much as we can. Growing up as an adopted child in Wheat Ridge, he acquired a strong work ethic from his Dad, who was Director of Parks Planning for the City and County of Denver (and is responsible for the creation of the Cherry Creek bike path and the Four Mile House Park) and also learned how to use and care for tools. The focus, drive and energy that mark everything Eron does today was manifested when he was fifteen years old and began frequenting a craft store across the street from Wheat Ridge High School. Bill Snyder, the first of Eron’s many mentors after his Dad, taught him how to work with a soldering iron in making stained glass artwork, among other things. From there, Eron taught himself how to repair stained glass windows, a pursuit that led him to another mentor, Mickey Zeppelin, a real estate developer (the Taxi Project in the RINO neighborhood north of Coors Field among other properties) who bought some restored stained glass windows from Eron and taught him about real estate. During high school, Eron ran a small business buying windows, mantles and other structural items from contractors doing demolition or renovation of older homes in Denver, repairing or refinishing them and then selling them to people like Mickey. After high school, his entrepreneurial spirit and thirst for new experiences and adventure took him on the road where he traveled across the country buying and selling antiques out of the trunk of his car during the 70’s and 80’s. Returning to Denver and using the lessons he learned from Mickey, began buying houses and other buildings, repairing them while living in them and then selling them, culminating in the store he now has at 451 Broadway – that was originally the home of Ventnor Chevrolet in 1917 – and a 50,000 square foot warehouse and lot near South Lipan St. and Alameda In his store and warehouse, he has antiques that range from pieces of small jewelry to a $75,000 crystal chandelier to 16 foot high stone columns with fluted capitals. And in that warehouse, he hosts Celtic music sessions and what, in other circumstances, would be called “House Concerts” by local and visiting musicians attended by hundreds of fans over the years. The music happens there because one day about seven years ago, he accompanied a friend to the Sunday evening session at Conor O’Neill’s in Boulder and was immediately intrigued by the music, the people and the feeling of comfortable community among the people there. He became interested in the fiddle, bought one (he now owns 9 of them) and began teaching himself to play by ear. Now this is where the problem/inconvenience challenge comes in, because Eron contracted whooping cough as an adult and lost most of his hearing and wears hearing aids; what to most of us would be a barrier, to Eron is an interesting challenge to be met and overcome. Working with Jesse Burns (who is now fiddler for Gaelic Storm) and other local fiddlers to improve his technique, Eron now attends several sessions each week while continuing to work 6 or 7 days on his antique business. That love of music has led him to open his warehouse for performances by musicians like Mason Brown, Doug Goodland, Connie Dover, Paddy O’Brien with Tom Dahill, Oisin MacDirmada and Brian Cunningham, Irish fiddler Kevin Burke, Scottish fiddlers Catherine Fraser and Duncan Smith, award winning guitarist Tony McManus, Performance Poetry by Neil McCarthy and many others. Ever curious and in continuous search of growth, he takes classes in furniture making, glass-blowing, jewelry crafting, photography and pottery so he can learn how things are made in order to be a better buyer of the antiques he buys on his travels around the world. His work in the pottery class has led to the sale of a piece to the Vance Kirkland Museum.